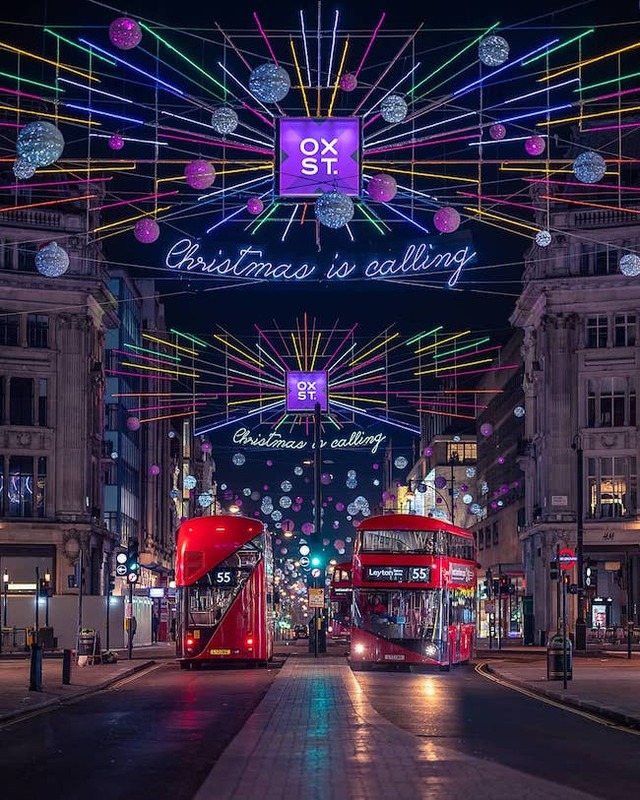 The Christmas lights on Oxford Street have been glittering away since Tuesday 6 November, with 1,778 decorations (and 750,000 LED lightbulbs) featuring across London’s busiest shopping hub. 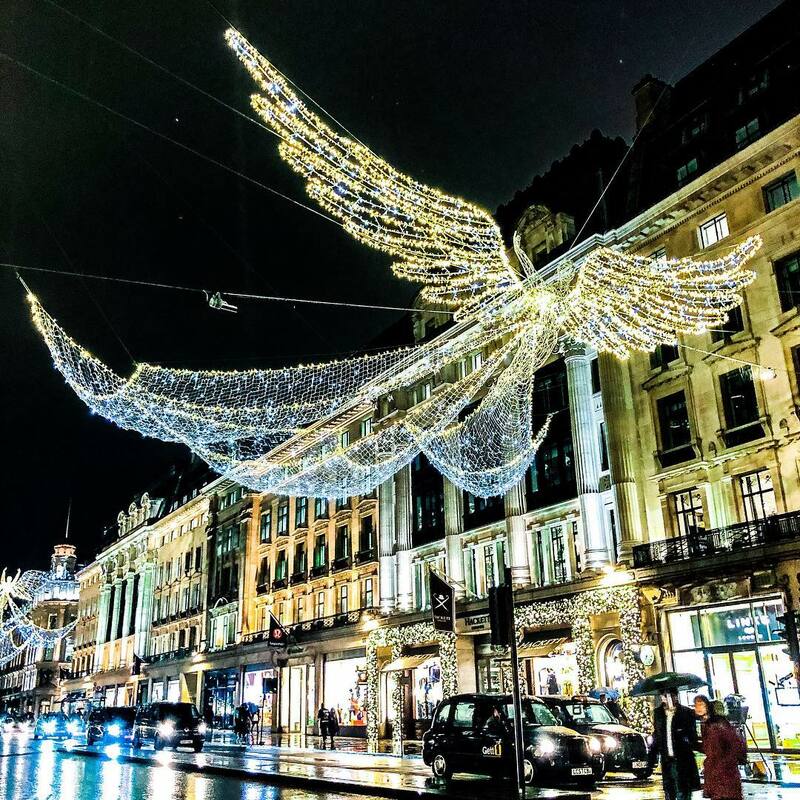 This year’s Christmas lights display on Regent Street is a throwback to the shopping street’s first ever display back in 1954, with a grand parade of sparkling spirit-like shapes sweeping through the skies above. 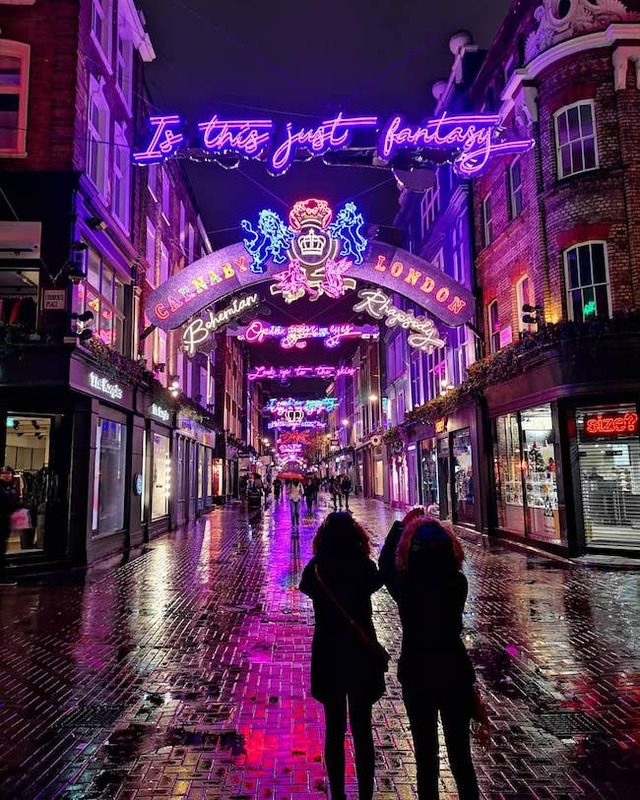 One of the more unique festive displays this year – in celebration of the release of the new Queen biopic Bohemian Rhapsody, lyrics from the famous six-minute song can be found lit up in neon high above Carnaby Street this Christmas. 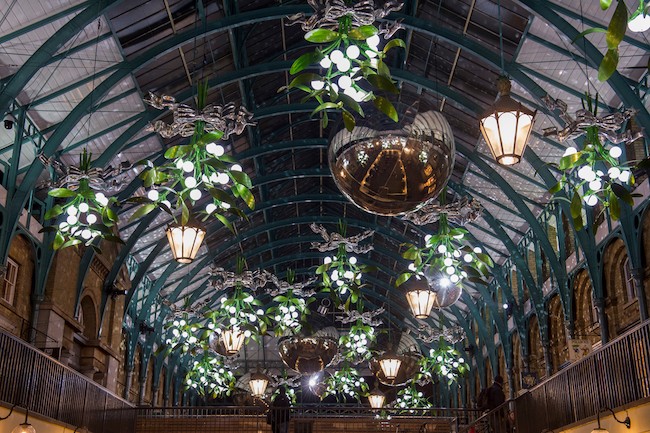 This year at Covent Garden you can expect to find London’s biggest hand-picked Christmas tree – standing at 55ft tall in the Piazza and weighing 1.5 tonnes – which has been decorated with 30,000 Christmas lights. 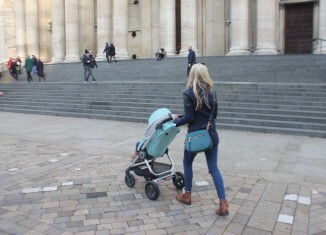 Look out for the brand new ‘infinity chamber’ light installation in Conduit Court, too. 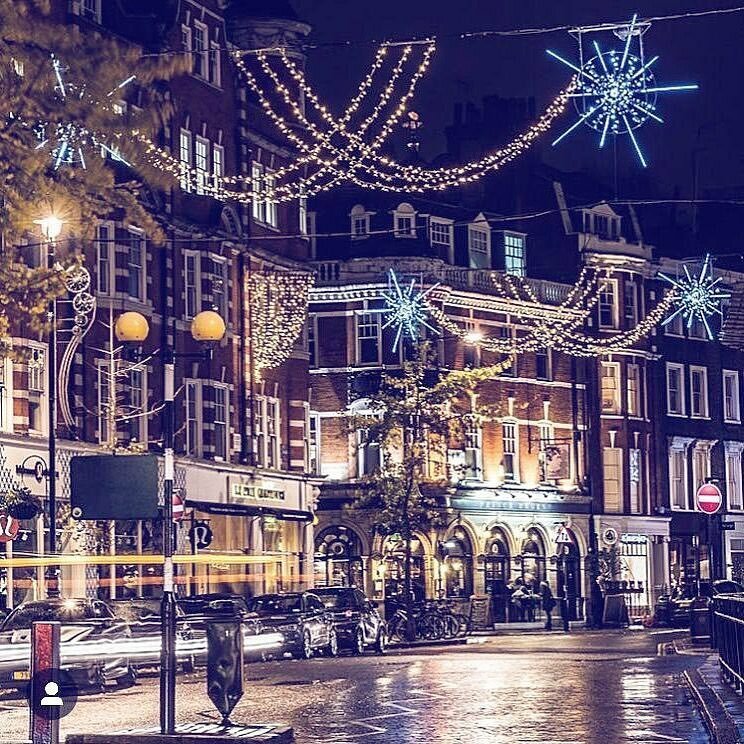 The Christmas lights switch-on at Seven Dials on 15 November turned out to be a huge festive occasion, with wreath-making workshops and an al fresco Christmas cocktail bar. 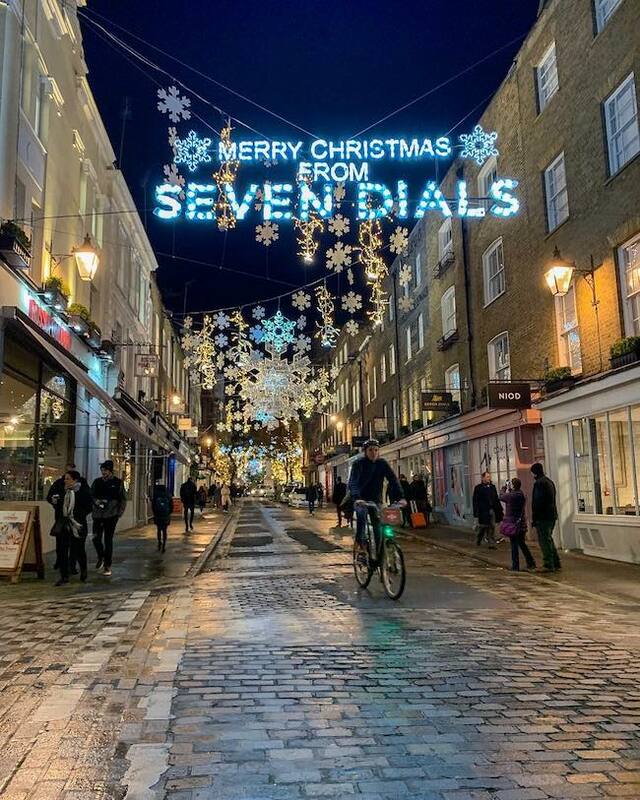 Look out for the enchanting ‘Merry Christmas from Seven Dials’ sign, which has been created using over 200 recycled milk bottles. 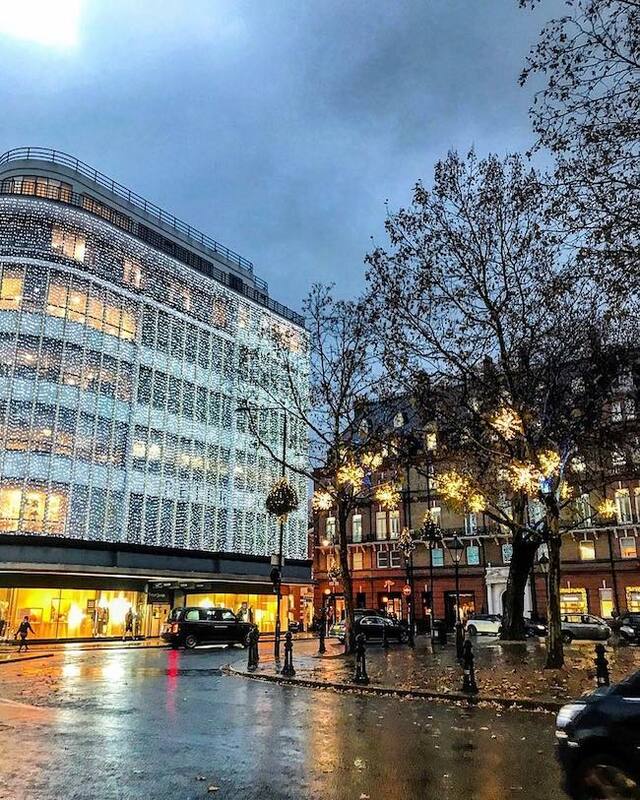 Sloane Square kicked off the season of good will on 17 November, switching on the Christmas lights in Duke of York Square, Pavilion Road, Sloane Street and King’s Road. 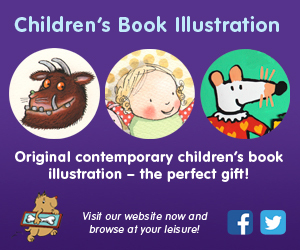 Look out for the marvellous display outside Peter Jones, too. 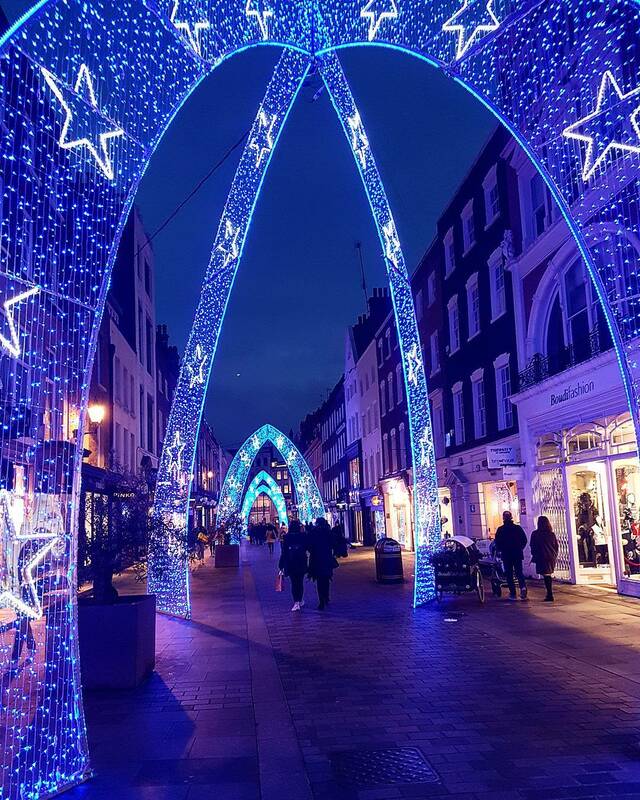 This sophisticated shopping spot near Bond Street now has even more sparkle, as these illuminated blue arches take centre stage until January. 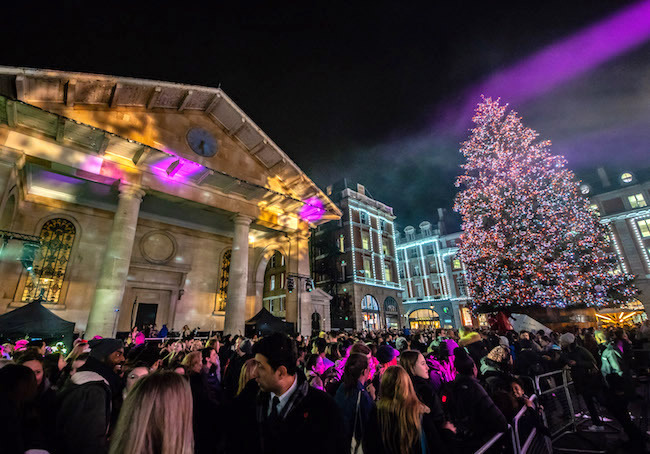 Roger Daltrey from The Who was the one to push the button at this year’s Christmas lights switch-on in Marylebone, which also included live musical performances and a host of festive activities.